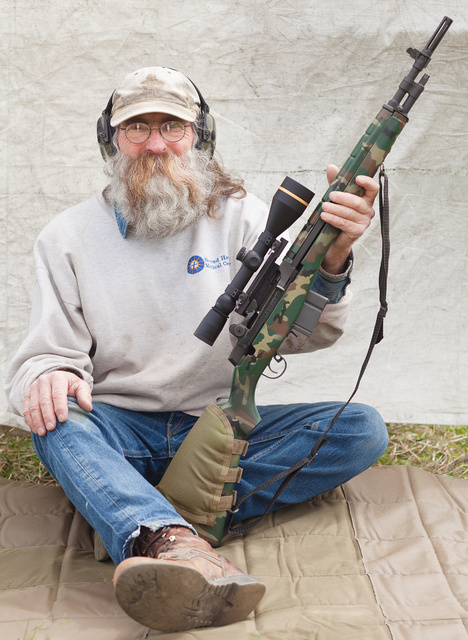 This entry was posted in rifle, weapon and tagged 380, M14, M1A, semi-auto. Bookmark the permalink. Nice rig. My Polytech version was my primary rifle for many years. I’ve had it disassembled for about 6 months now after I started getting a high incidence of case separations. The chamber is on the big end of 7.62 NATO spec but I’d been using reloaded commercial brass (sized long) with success. I don’t know if my stock of brass has just reached end of service life or if headspace has opened up a bit from where I set it when I fitted the TRW bolt. I need to load and run 100 rounds through it with once fired NATO brass to feel comfortable with it again. I’ve been focusing on the AR platform lately since it’s easier to mount optics to for my 45 year old eyes which just aren’t as accurate with iron sights as they used to be. Might I suggest that you consider one of the Scout rail systems made by UltiMak. I put one on another M1A with a Leupold scout scope and is it a great system for out to about 400 yards. I understand the aging eye thing, and this system works great within its limitations. And you don’t need a cheek pad to get a decent weld and eye position with a standard stock. If you suspect excessive headspace on your Polytech, you may want to check it with a good set of headspace gauges. Just to be sure. Larry, I plan on Ultimaks and optics for both my M1A and Garand eventually but the budget is limited. The big purchase this year is a new Range Officer 1911 for shooting CDP. That and a rather serious ammo habit. Almost 3K rounds since January. Even reloading that is still a good bit of disposable income downrange.